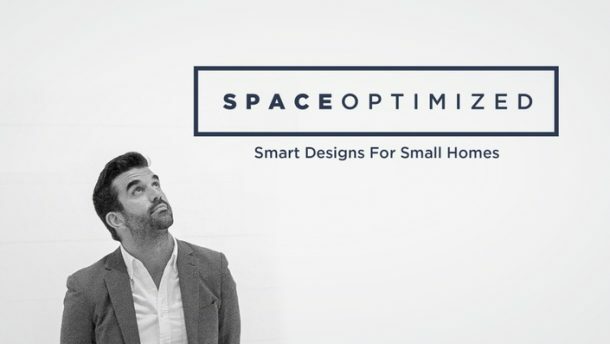 Want to create more private spaces in your tiny home with an open floor plan? 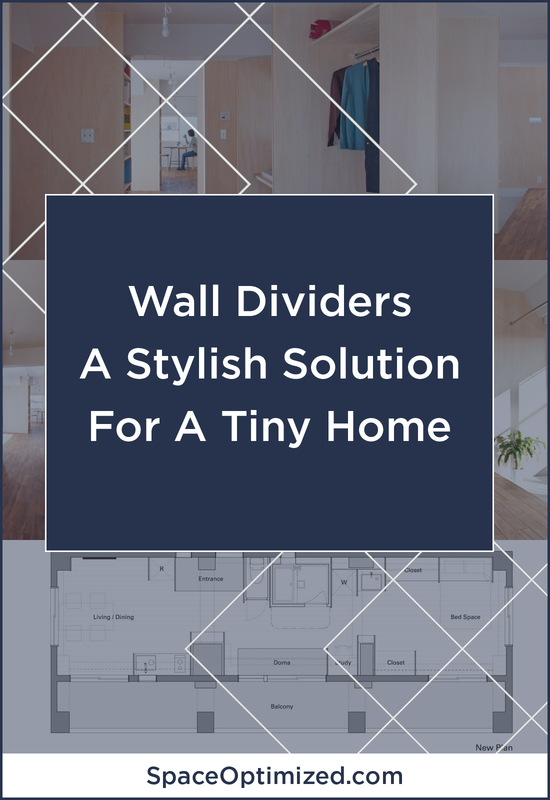 Add functionality and style to your space with wood dividers! 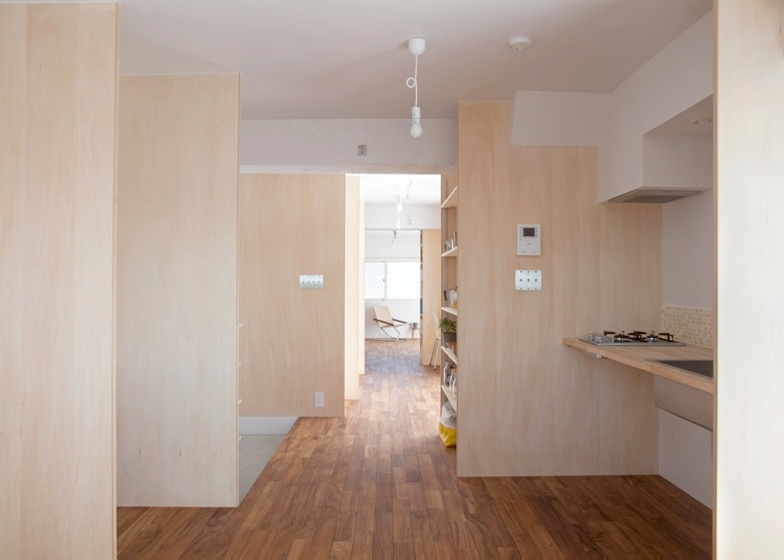 Sumasaga Fudosan of Camp Design Inc. revamped a modest 50 square meter flat into a minimalist’s dream home using a series of strategically installed wood dividers. The walls divided the slender space into different sections. 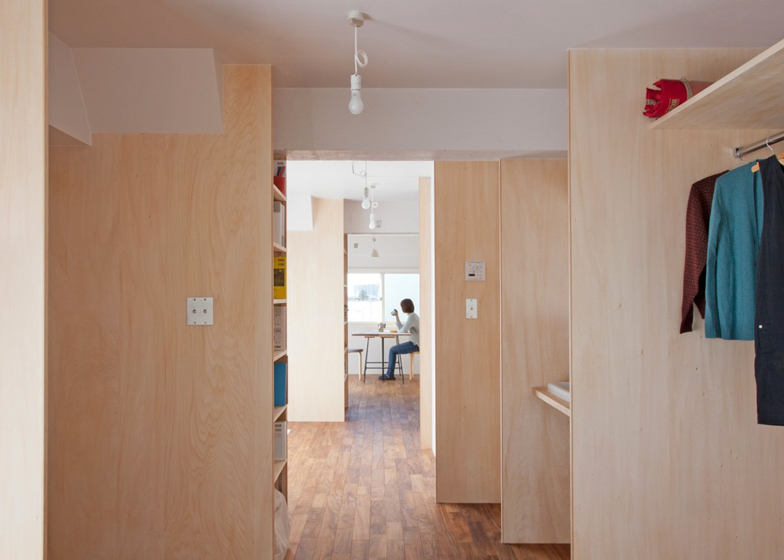 About 17 plywood wing walls were used increase the perceived amount of space. The result? 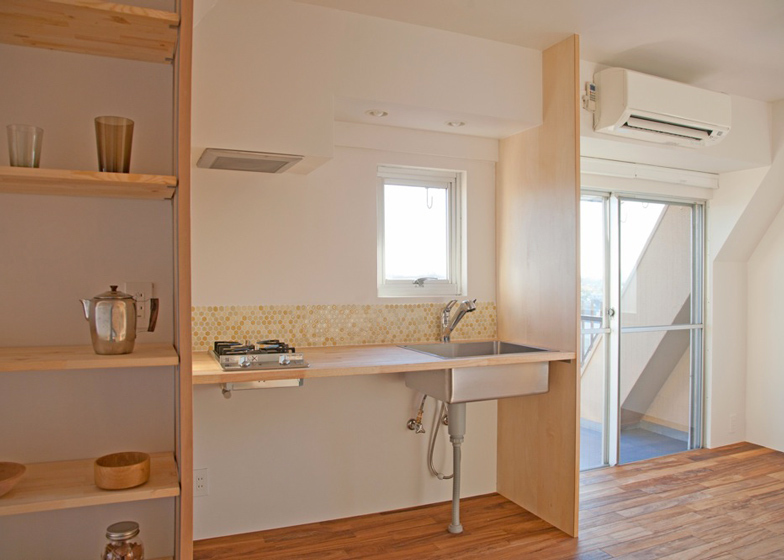 A stylish tiny home with hidden alcoves and lots of breathing room. The re-design involved moving the living and dining area from the center to the other end of the flat. The bathroom is now on the opposite side of the entrance. This space features separated compartments for the bath, shower, sink and toilet. The wood dividers also worked as a set of closets in the master’s bedroom. Surprisingly, none of the existing equipment and pipe space were re-done during the renovation save for the toilet. The wall to ceiling wooden partitions pulled double duty as storage areas. 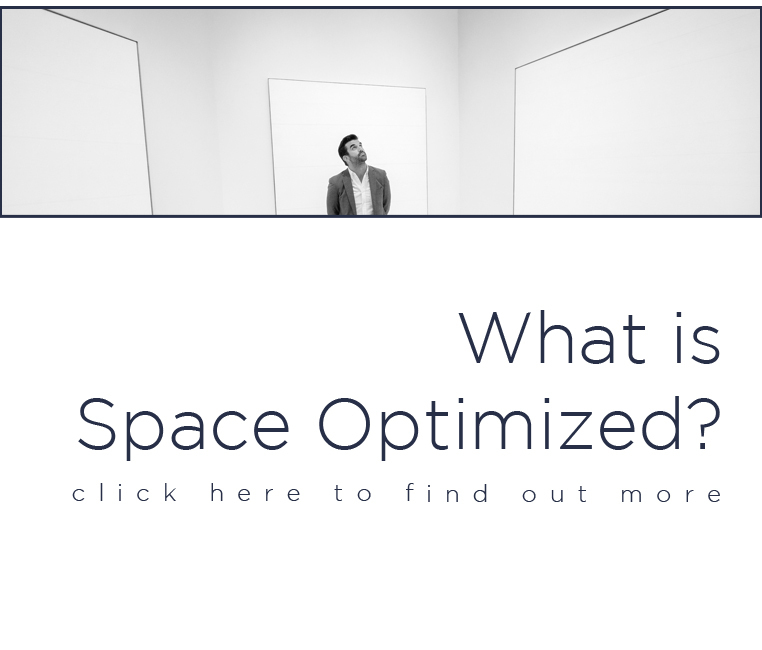 No space is wasted! 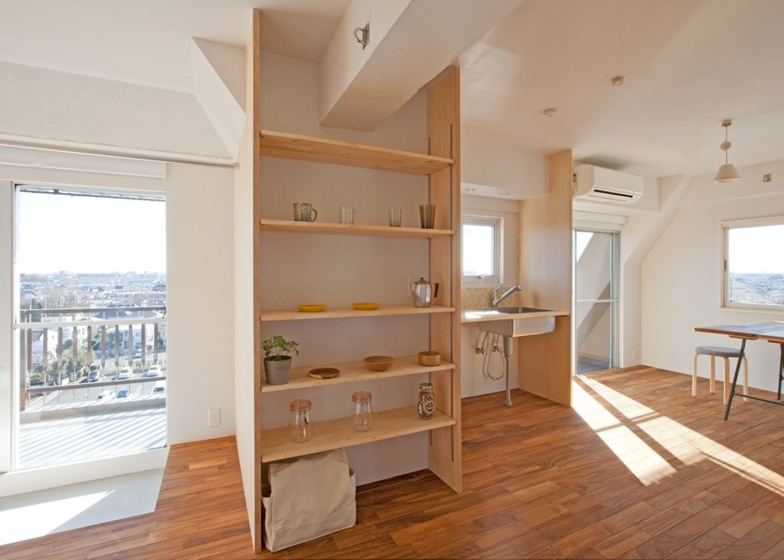 The divider that connects the kitchen to the living area is a multipurpose shelf. Installed next to the study alcove are wooden shelving units for extra storage! 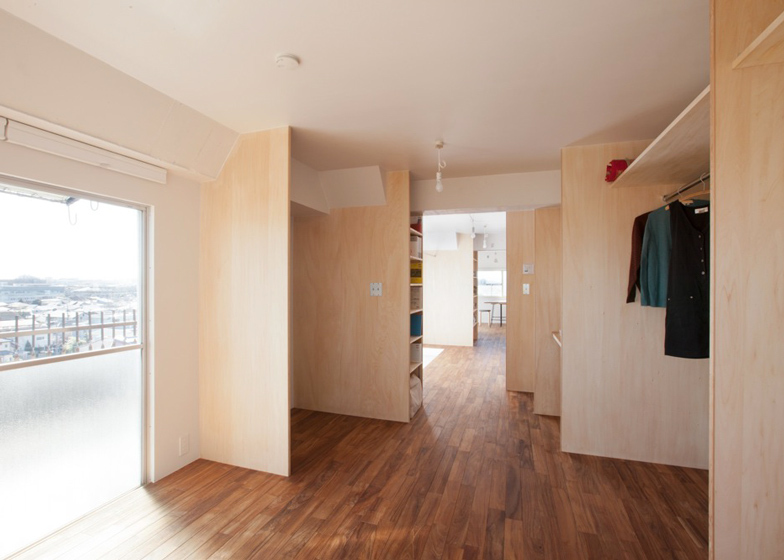 Each room has its own storage closets and all rooms have no doors. Wide windows lead to a large balcony, offering a breathtaking view of the surrounding landscapes. The combination of wide glass windows and light wood dividers created a sense of depth in such a confined space. 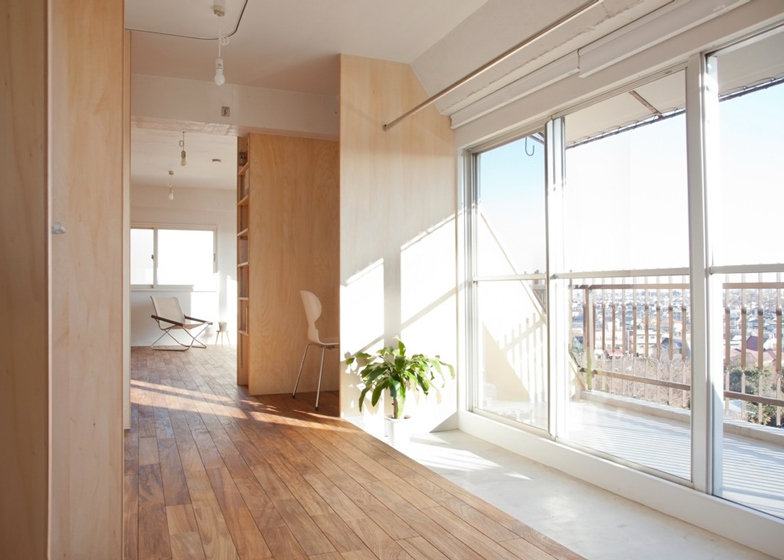 The natural finish of the wooden partitions adds warmth and texture to the all-white walls. 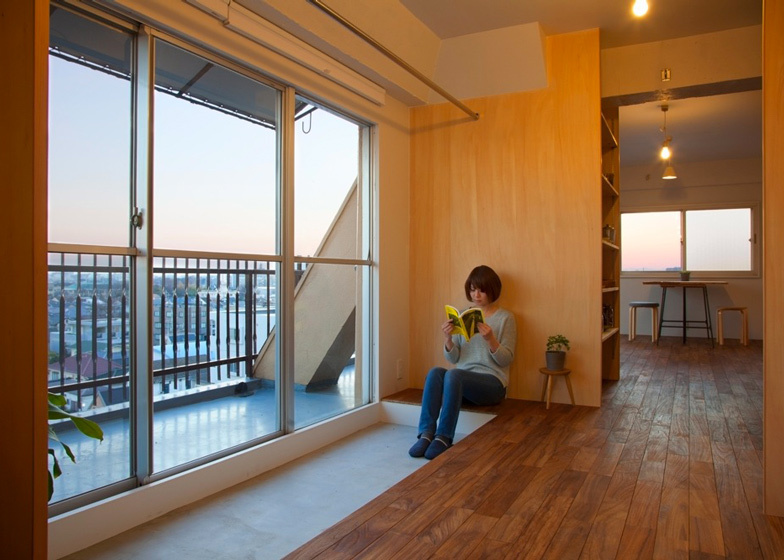 From a single great space, the Wing Wall House in Nishitokyo-shi is now a multilayered dwelling. It has an open-plan kitchen, a dining area, an entrance, a bathroom, a small study, and a bedroom. The modest residence is complemented with sparse furniture to complete the look.